Icelandair is expanding in the U.S., launching new routes practically every month. Unlike most airlines these days, Icelandair doesn’t charge for seating assignments, and they do still give out meals and drinks. And since they’re based in Iceland – you can stopover in Iceland for up to three days en route, if you like. And yes, if you don’t like – you can just have a short layover and continue onto London. This London deal is available from both U.S. coasts, with cities like San Francisco, Boston, New York, Seattle, Cleveland and Washington DC all at amazing prices. Even if you weren’t planning on a London trip, you should be! And who knows, you may see the Northern Lights on the way. These London deals are available from September thru December of 2018. You may be able to find other great low deals in other months, but if you want the absolute lowest prices, you’ll do best to travel during this time. London is awesome in the fall – and less crowded too. If you’re thinking that this deal is tough to beat, you’re right. It’s exceptionally low – and extremely good. We believe booking flight deals should be easy, so we’ve made super easy to follow London deals links, which take you directly to the best prices from each city. 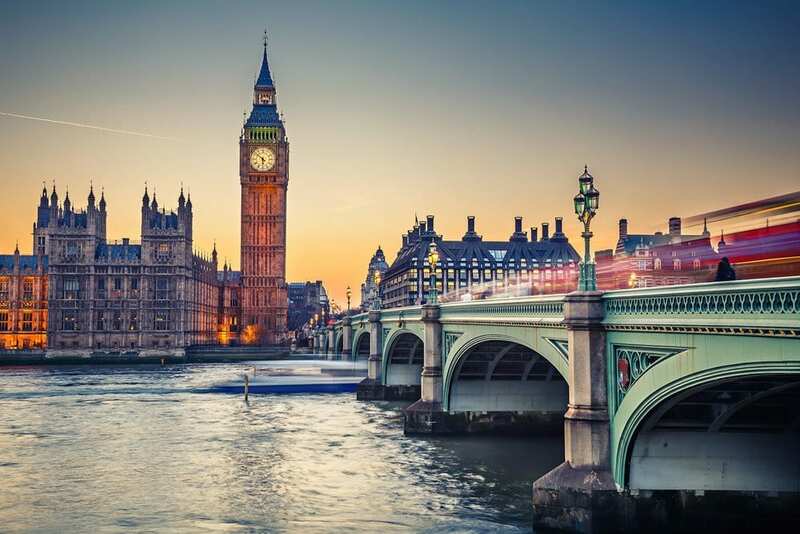 Here are the best round trip prices to London, like: $262 from San francisco, $309 from Boston, $368 from Seattle, $389 from Washington DC, $411 from Cleveland, $434 New York City and $514 from Los Angeles. You can book a stopover in Iceland for the departure, return, both or neither, at no additional cost. Details for how to book the stopover can be found here. And here’s an example itinerary with one included, simply play with dates to try and make it work for you. Featured image copyright David Iliff used under Wikipedia Commons 3.0.